I just posted another little brunchrecipe over at 2DM blogazine, this afternoon. Here it is, just in case you missed it! 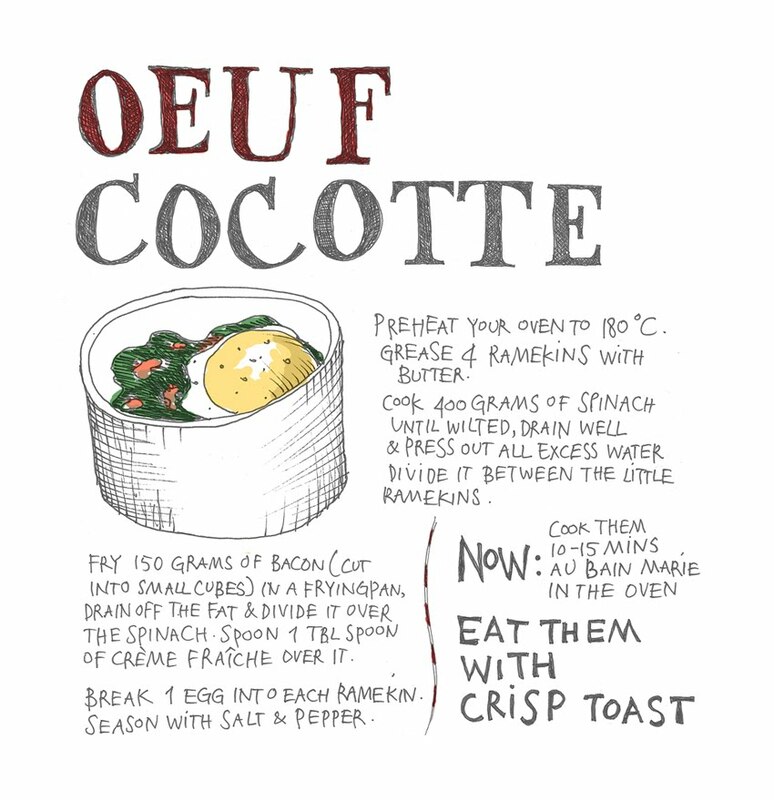 This Sunday is perfect for Oeuf Cocotte: Little ramekins filled with an egg, some cream and something else you’d like to have. I love spinach so that’s what I’m having this weekend. But I expect you can also fill your ramekin with some smoked salmon and chopped asparagus, or fried mushrooms, crème fraîche and thyme. 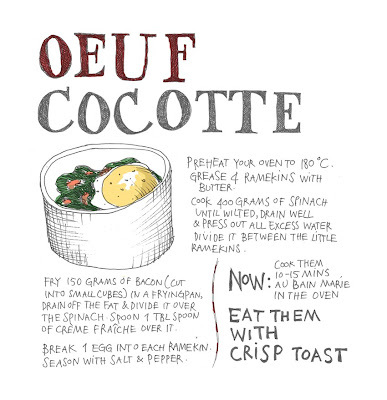 It’s your brunch so you fix yourself your own ‘oeuf cocotte’ with your favourite ingredients! Cooking time is 10 to 15 mins, depending on how you like your eggs done.